Dry brewer's yeast is a unique product that contains up to 40-55% of high-quality, complete, easily digestible protein, which includes 17 essential amino acids, most of which are essential. It contains vitamins D, F, E, K, group B, biotin, minerals - magnesium, sodium, calcium, potassium, copper, zinc, manganese, iron, zinc, chromium, selenium, sulfur, phosphorus, various carbohydrates and fats. 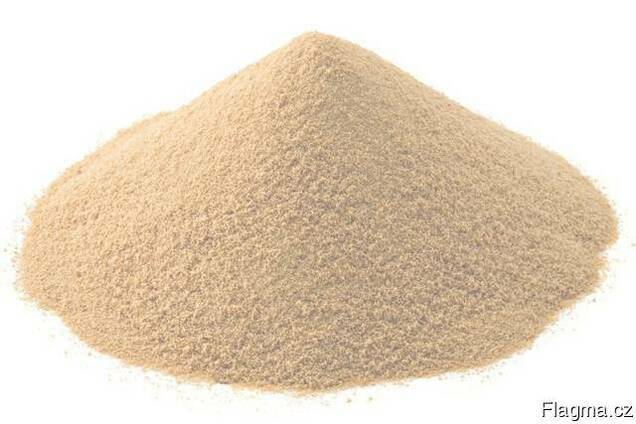 Brewer's yeast is used in the production of a wide range of animal feed, food industry and pharmacology. The biological value and content of amino acids significantly exceed the vegetable feed. Lose only fishmeal at a concentration of lysine when comparing the amino acid composition of feed. The special value of dry brewer's yeast is that they do not contain living yeast cells, have a long shelf life and are easy to transport. The use of brewer's yeast is very simple, therefore, as experience of foreign countries shows, feed and food manufacturers use it as a protein-vitamin supplement to enrich their products. An important aspect of brewer's yeast is that it is a natural and pure product.